That nip in the air (a little more pronounced this year, to be honest), means itai??i? ?s time to let those Christmas carols take over your playlist. But if you need a little nudge to get into the festive spirit, we suggest you make a beeline for the Christ University campus this weekend. The university is set to host their annual event, Magnificat ai??i?? A Song of Hope. 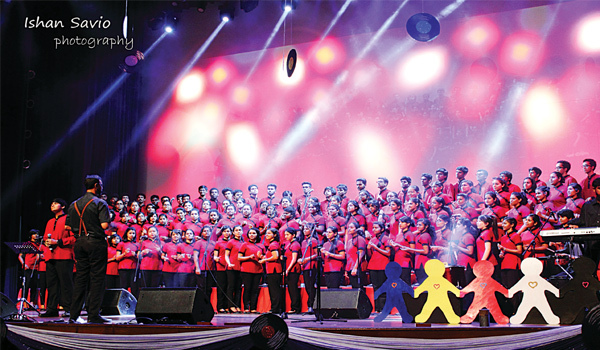 Currently in its 11th year, the musical showcase which was started by musician Sunil Chandy, plays host to noted choirs and vocal groups from around the city and the country. ai?? ?Hope is the message of this season, and thatai??i? ?s the message we want to give to the audience as well,ai??? says Jason Kishander, conductor of the Christ University choir. At over 100 members, the choir is one of the biggest in the city, but Kishander seems to be handling it all with ease. ai?? ?This year, the numbers we will be doing revolve around the prophecy about the birth of Jesus,ai??? shares the musician, before giving us a peek into what to expect. ai???Weai??i? ?re doing a piece called Worthy Is The Lamb by composer George Frideric Handel. We will also be doing a contemporary rearrangement of the classic, Midnight Clear, which will be an eight-part a capella. The song is delicate and designed to recreate the atmosphere of the night Jesus was born. Lyrically, all the songs are intense,ai??? he reveals. Apart from the Christ University choir, other participating groups are from Jyoti Nivas College, St Josephai??i? ?s College of Commerce, St Josephai??i? ?s College of Arts and Science, Bethany High, and St Andrewai??i? ?s Church, apart from childrenai??i? ?s choirs, Shine and Harmony. Today, 5.30 pm at Christ University, Kengeri. Saturday and Sunday, 5 pm at Christ University, Dairy Circle.